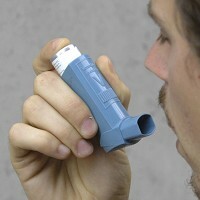 Asthma sufferers should not have to stop playing sport, according to the charity Asthma UK. People whose condition is triggered by exercise can still continue to enjoy their favorite sporting activities with the appropriate medication and training. Three out of four asthma sufferers say their condition is exercise-induced but they may actually find that sporting activity can help improve their symptoms by developing better lung function. The charity's lead asthma nurse, Cher Piddock, said: "There are still around 250,000 people in the UK whose asthma is so severe that many of them are unable to walk to the shops or go to work, things that most of us take for granted. "With the right medicines and support the majority of people with asthma should be able to take part in some sort of exercise, whether that's being able to reach the top of the stairs, the top of a mountain or the top of a podium." Travelling abroad may be another concern for asthma sufferers but pre-existing medical travel insurance can ensure they have peace of mind. World First offer simple screening and cost-effective cover for thousands of medical conditions.